The DPM6000 Digital SWR/Pwr Meter provides superior performance not available on any other competitive product. It provides the high accuracy capability demanded by ham radio operators and engineers alike, at a price that’s affordable. It features simple of operation required for bench top use. 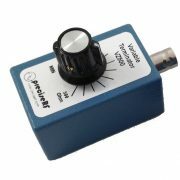 It is the only SWR/Power meter with a built in temperature compensated calibrated Power Reference. 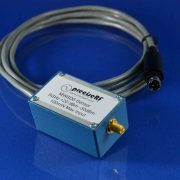 This reference delivers a precise 1 mW 0 dBm 50 MHz signwavec with very low phase distortion. This allows calibrating your DPM6000 directly from the front panel. The New TDR-Cable Radar® Pro is a major upgrade to the discontinued CableScout. 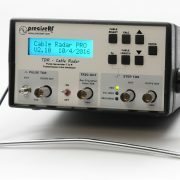 The TDR-Cable Radar® Pro features an improved GUI, faster pulse rise time and all new firmware, making measurements simpler and quicker. 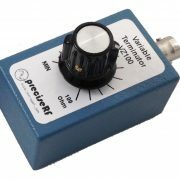 It is an affordable precision TDR pulse generator with laboratory level accuracy and utility for transmission line measurements in ham radio installations. When used with an oscilloscope of sufficient bandwidth (100-200 MHz), measurements can be made rivaling those of commercial TDR systems at a fraction of the cost. The TDR-Cable Radar® Pro delivers advanced measurement capability such as 110 ps rise time pulse width ≤350 ps, Reflection Coefficient (p), Distance to Fault (DTF) Return Loss (RL), Line VSWR Velocity factor (Vf), Line loss dB/100ft @100MHz. The HFS-1.5 HF Sampler/Coupler -30dB is wide-band RF sample/coupler. It inductively couples a sample of the high power RF (up to 1.5 KW PEP) passing from the RF IN to the RF OUT connector. The sampled RF signal is at a -30 dB level; that is a power gain of .001 (i.e. a power reduction of 1000:1). Be the first to review “LAB Package DPM6000 Digital Power Meter & TDR Cable Radar® Pro” Click here to cancel reply.